Herbert Spencer noted that the great aim of education is not knowledge but action. A pivotal role of education lies in shaping the personality of a child into a healthy mind and happy soul, who is not only equipped with 21st century skills and aptitude but also empowered to face the challenges of life in a balanced and harmonious way. At Al Falaah College, we enterprise to map academic excellence with a good human and an Islamic value system, which in myriad ways is ingrained in the culture of the school. The school community can be justifiably proud of the many achievements and varied activities that make this a vibrant, dynamic and stimulating place of learning. As an Independent Islamic school, we take our faith experience with serious intention. 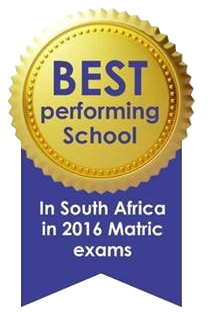 We are proud of our ethos, traditions and commitment to academic excellence. We are also dedicated to our mission of educating the whole person in a disciplined Islamic environment, one, which contributes to the development of an Islamic Personality while at the same time being able to take up our rightful place as global citizens in a pluralistic society. At Al Falaah College, we count time not by days, months and years, but rather by each moment as it passes leaving an indelible mark on us, on our children and on the institution. Each passing day has afforded us the opportunity to lay a solid foundation for the future growth of all our children. At Al Falaah College we see education as a shared commitment by passionate and dedicated educators, enthusiastic parents who are actively involved in their child’s education and learners who are motivated and serious about their studies. We promote a culture of excellence encouraging learners to be the best they can be within a happy, caring, stimulating and enjoyable environment. It is an environment that encourages a passion for life-long learning. “LEARNING FOR LIFE AND BEYOND”. We aim to Insha Allah (God willing) develop well balanced children (academically, physically, spiritually, morally, emotionally and socially)and we continuously evaluate our teaching and learning processes to ensure that our learners are equipped and prepared for the challenges of the 21st century and beyond. All of the above is underpinned by a strong focus on developing good character and being good human beings by following the teachings and example of our beloved Prophet Muhammad (S.A.W).